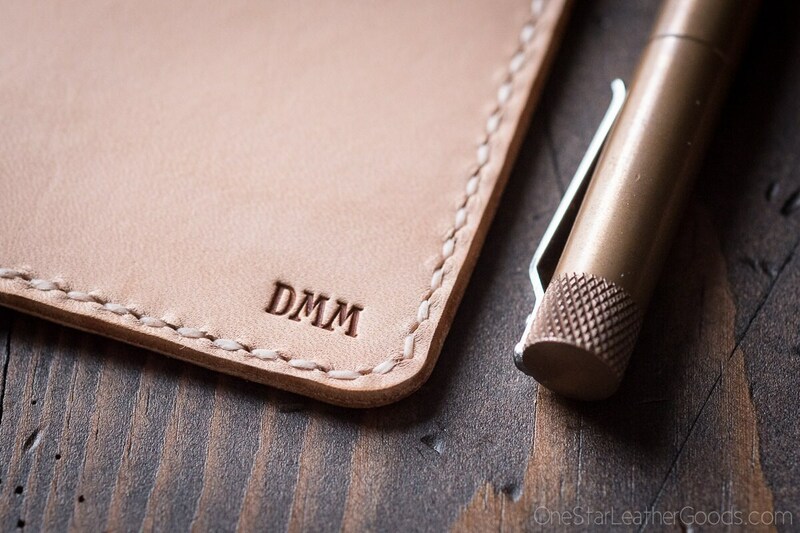 This is an embossed personalization addition, available on most of my products. Add this to your order if you'd like to add personalization. I can stamp initials or a few small words. Please leave me exactly what you'd like it to say in the notes section of your order. My letters are all capitals, I don't have lowercase. Would you like it stamped on the exterior of the piece or the interior of the piece? **BE SURE TO LEAVE A NOTE in the field marked "Add an optional note to seller" during checkout with what you want your personalization to say. Have questions? Get in touch. Present for my college age son and he loves it! 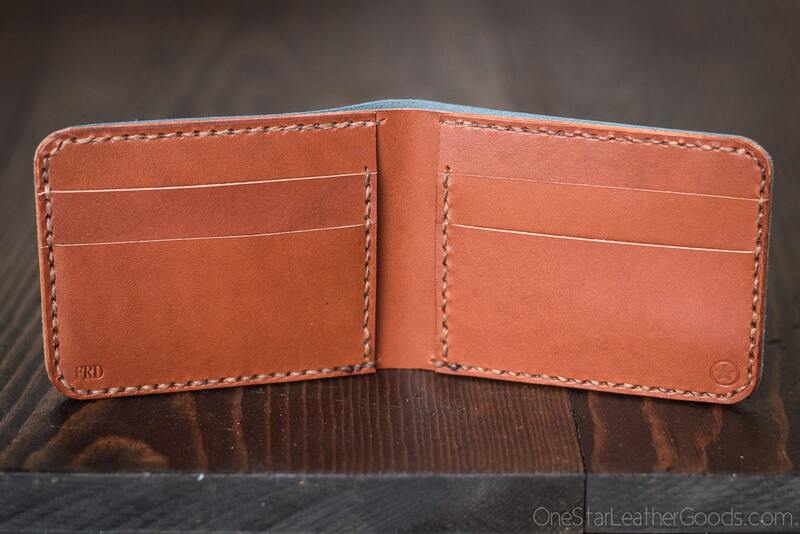 Great handmade item...beautiful leather work. He uses it as a wallet and a journal to write about his adventures or to just make a note old school style. Love this item! Clean, clear and crisp personalization! 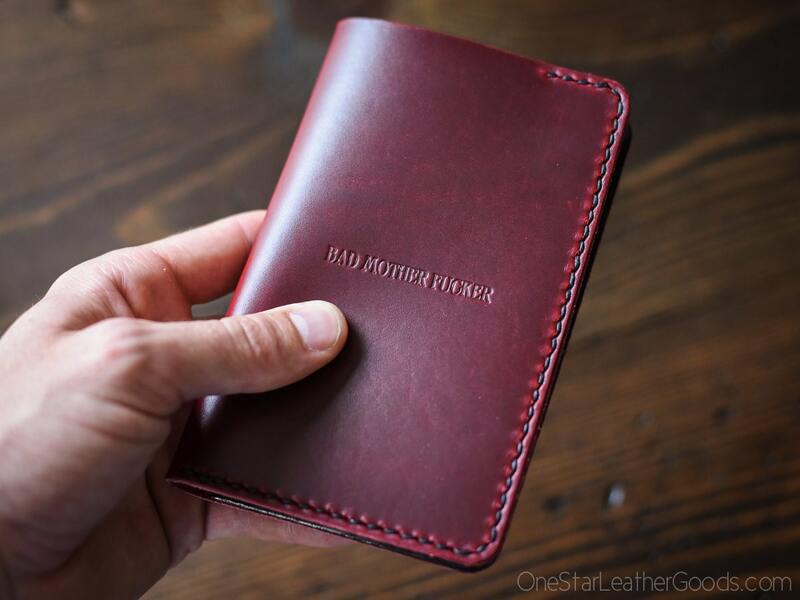 If you are hesitating on getting personalization on an ordered leather piece, you will not regret it. Happy customer! Perfectly placed and imprinted personalization for my custom cover.